With Liam's help, Rebecca learns of an underground organization known as The Renegades, where Quentin Cordeaux was considered a legend. While Liam attempts to stop Halpert's challenge if he can, Rebecca tries to unravel the mystery of what happened to her father. Did he and many of his contemporaries die for something they knew? Who is the mysterious informant who calls himself John Doe? 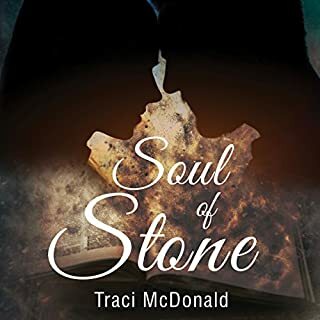 Starts off slower than some of her other books but you do not want to put it down. The ending is a real surprise. You got to go on to the next book in the series ASAP. I got this book for free from the author. She gave us a code in exchange for an honest review. The performance of Melissa Williams was good. Wasn’t award winning, but it was definitely Better than some I’ve heard. Her production quality was amazing—the sound was phenomenal. Her voice was clear and concise. She didn’t have a variety of character voices which was her downfall here. 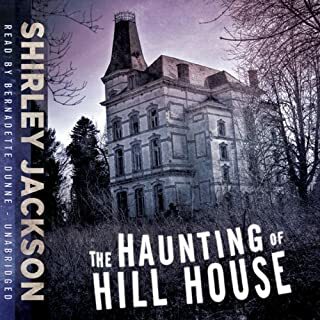 There were many many characters in this book and when she reads in her normal reading voice, it was hard for my ears to latch on who was speaking and when. I did like her voice for Madeline the companion bot though. As for the content, I didn’t connect with any of the characters. I didn’t really have a sense of genuine appreciation for the main character—she was kinda just...there. The writing style was superb, though. C.A.’s ability to create a world using her words is astounding. She really knows her science, which is evident from her book. You can tell Gray is an intelligent woman who has the power to throw a bunch of Themes and scientific knowledge in a book and create something great! As for me, I hate science and I don’t really like science fiction novels—so this honestly wasn’t the book for me. I didn’t rate it horribly because that would be rude, but I did rate it the way I feel it deserves. If you like science and robots and things of that nature, then you’ll love this book—honestly! Give it a try, you won’t regret it. It wasn’t my cup of tea, but I still don’t regret it! This book was only so-so for me. It was more romance than science fiction, with a little touch of conspiracy theory stuff thrown in. Romance isn’t my cup of tea and I was left wanting more sci-fi. The conspiracy theory stuff kept the characters running around and provided most of the interesting parts. Rebecca was hard for me to connect with. She’s working on an upper graduate degree but often she acts like a 15 year old. Her ridiculous attraction to Andy went on too long, becoming a little mind numbing. She’s usually a big ball of emotions simply reacting to events and people around her instead of being a force that drives the plot. She’s very needy, wanting to be all things to everyone around her. Initially, I saw this as a starting point for her character and expected her to grow throughout the story, but, alas, there is very little character growth for Rebecca. I liked Liam well enough but felt that he was a bit too trusting, as is Rebecca. After all, if they truly believe some large corporate enemy is after them or at least monitoring their websites, then why do they communicate so freely via their electronic devices? I wish Francis, with his analytical mind and skeptical nature, had come on the scene earlier. I really enjoyed him, even with his often snide (but honest) remarks. Madeline, Rebecca’s taboo companion bot, was fun. I like the conundrum she represents. How much of her caring nature is her programming versus an AI’s personality. Can Madeline have genuine feelings? This was the best part of the book. The female characters were mostly fluff, even Madeline. When the ladies get together, they talk about the guys and romance… and not much else. I expected more from them. The plot was straight forward and while some reveals were built into the storyline, none of them were a surprise. I would have liked a bit more complication to plot, since that’s what I look forward to in conspiracy theory stories. I wasn’t surprised about who sent the mystery messages, nor about Francis’s suspicions, and not about the identity of the government supporter of the Liam’s Resistance friends. The story leaves us on a cliff hanger. 3/5 stars. The Narration: Melissa Williams gave a great performance on this narration. She had the perfect voice for Rebecca and distinct voices for all characters. I especially liked the slightly robotic voice she gave to Madeline. Her male voices were believable. While I didn’t like all of Rebecca’s emotional drama, Williams performed those emotions well. 5/5 stars. 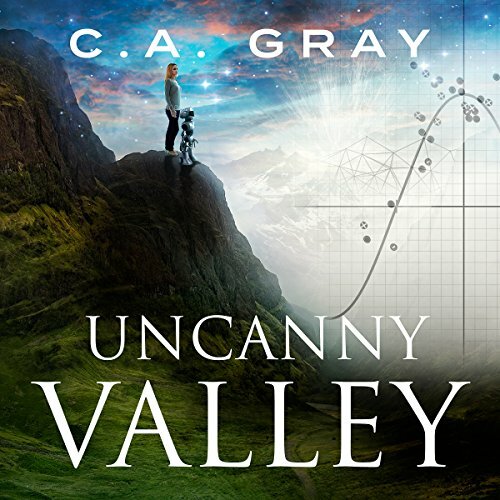 Uncanny Valley is a thought-provoking story that takes place in a dystopian world where robots have taken over many of the human jobs, from waitresses to medicine, the humans in the book used robots for just about everything. Robots with artificial intelligence are our own future, so love reading about worlds where robots are relied upon, maybe it will make it smoother for our own reality when it happens. Some of the scientific terminology and explanations went right over my head, but I was able to stay in the book. I liked how it played out, and it was fun to see Rebecca talk through her feelings with Madeline, her robot companion. Rebecca's relationship with Madeline was one of my favorite parts of the book. Rebecca has a secret companion bot that is her best friend, and it's let her have a different opinion about robots than most of her colleagues and friends. The world Republic leader announces the goal of mastering "synthetic creativity" in robots. Rebecca's father was in the same field, and his conspiracy theories let to his untimely death when Rebecca was young. Rebecca vows to solve the mystery surrounding her father's death. This was my first time listening to Melissa Williams' narration, she was good. I feel she portrayed what I visualized for Rebecca, really helping me connect with the character. I really overall enjoyed listening to her and I would listen to her again. In addition to Rebecca, I thought she did a great job with the robot voice for Madeline, and I never had a hard time keeping character's voices apart throughout the book. If you're considering picking up this title, I highly recommend the audiobook! Be ready Uncanny Valley ends on a cliffhanger, you will need to find out what happens next. If you like robots, robot issues, a bit of conspiracy, action, romance, Uncanny Valley will be a good read or listen for you. I won’t take any time re-hashing the core storyline since the publisher’s description is very thorough, almost too much so. Instead, I’ll focus on what I liked and didn’t like and, this being science fiction, my first thoughts have to be about worldbuilding. Any speculative fiction needs a strong sense of when, where and how and I have to say there’s a lack here. Certain cities are named occasionally, like Dublin and Geneva, but I got no real sense of when this was taking place or how society had arrived at a bot-driven existence. As a result, I couldn’t get a grasp of how long the bots had been so prevalent nor how long a few conspiracy theorists had been working to stop further development. The primary characters, on the other hand, were quite well-drawn and I felt I knew them well. That doesn’t mean I liked them all and, in fact, one of the romantic leads plucked my last nerve with his controlling ways although I also saw his good points. The bad guys, Halpert in particular, were appropriately callous and remote and, as for Rebecca, this was a girl I understood. She’s young enough to be starry-eyed about a guy, smart enough to get involved with some serious research and education, well-rounded enough to have other interests and attached enough to her mother to want to please her. In short, she’s a normal young woman. 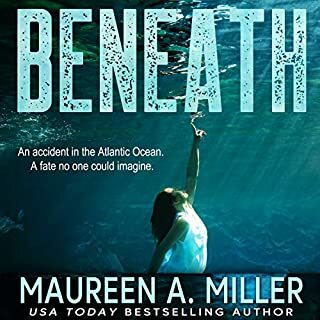 Narrator Melissa Williams does a credible job with a pleasing tone, good pacing and clear enunciation but I don’t hear much vocal distinction between the characters. Still, I enjoy listening to her. Fantastic story! I can't wait to pick up book 2! 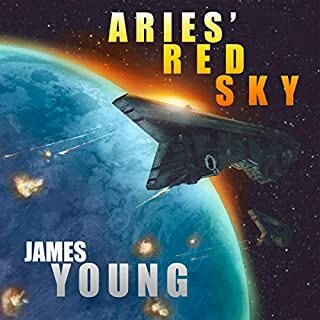 Science-fiction is one of my favorite genres, but for some reason, I really don't read that many sci-fi books, so I was excited to pick this one up to review. Uncanny Valley takes place in a world where robots have taken over many of the human jobs. Our main character Rebecca, is in university on a research team that's studying the dangers of a robot-run society. Rebecca has a secret companion bot that is her best friend, and it's let her to have a different opinion about robots than most of her colleagues and friends. Rebecca's father was in the same field, and his conspiracy theories let to his untimely death when Rebecca was young. After the Republic leader announces a worldwide challenge to develop synthetic creativity for the robots, Rebecca's team discovers that all of their research (which goes against what the world leaders are trying to accomplish) has been deleted from the cloud. They team up with an underground organization to stop the challenge, and Rebecca vows to solve the mystery surrounding her father's death. I loved this story! Robots with artificial intelligence are a reality for our own future, so I'm fascinated to read about worlds where robots are relied upon for almost every service. From waitresses to medicine, the humans in the book used robots for just about everything. They're capable of conversation but do not have real emotions. They can only mimic what they see and have been programmed to do. I really enjoyed that the story had two different interconnecting stories throughout: stopping the challenge and figuring out what happened to Rebecca's father. It was interesting to see how the two came together through the course of the book. There is a slight love triangle between Rebecca and two love interests, but it was by no means the main focus of the book. I liked how it played out, and it was fun to see Rebecca talk through her feelings with Madeline, her robot companion. Rebecca's relationship with Madeline was one of my favorite parts of the book. As Rebecca is conducting her research and learning more about synthetic creativity and the emotional capability of the robots, she starts to see her friendship with Madeline through a different lens. Some of the scientific terminology and explanations went right over my head, but I didn't feel like it had a negative impact on my ability to understand the plot or progression of the story. It was helpful that we were given the book from Rebecca's POV, because at times she didn't understand (or just didn't care to pay attention) to some of the lengthier science explanations either. Her inner monologue would state that she had no idea what someone was talking about, and she'd move on to thinking about something else. Rebecca ends up dropping out of school to focus all her energy on finding out what happened to her father and help her colleagues put a stop to the Republic leader's challenge, and that's when things turned into high stakes. She was jeopardizing her career to do this, and she didn't have room to fail. As the book got closer and closer to the end, the suspense over whether or not things would resolve was nerve wracking. It ended on a cliffhanger, so now I'm itching to find out what happens next. 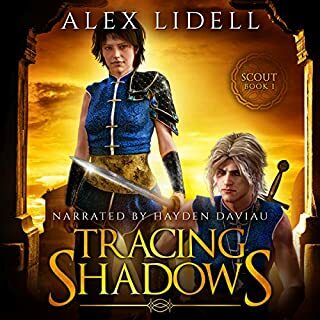 Unfortunately, the next book in the series isn't available on audiobook yet, so I may have to pick up a Kindle version. This was my first time reading a book narrated by Melissa Williams, and I'd listen to her again. I usually listen to books on 2x speed because that pace feels more like the speed I read in my head. With Uncanny Valley, I did listen on 2.5-3x speed, so I think Melissa speaks more slowly than typically narrators. It wasn't an issue for me since I was able to speed it up slightly. It didn't hinder my enjoyment at all. I liked the robot voice that Melissa did for Madeline, and I never had a hard time keeping character's voices apart throughout the book. Overall, the narration was very smooth, and there weren't any noticeable pauses or stumbling. I listened on Audible and went back and forth from my Kindle to my iPhone, depending which was closest. It kept my progress synced perfectly across the devices, and the sound quality was great. I've never had an issue with the quality of the audio files when using Audible. I'm really glad I listened to the audiobook, because I think I would have had a difficult time getting through some of the science if I'd read it myself. The pace of the audiobook helped me to understand some of it better and the parts I didn't understand still went by quickly so I was able to pass through them without struggling. If you're considering picking up this title, I highly recommend the audiobook! Rebecca Cordeaux is a neuroscience student, and with interest in many other areas. Set in a future where robots have largely evolved to the point that some are afraid that they will one day eliminate the human race, Rebecca is put in charge of investigating where creativity and moral lay, in order to prevent robots to take our place in the world. 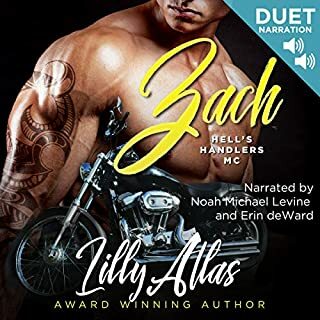 This was a quick and easy read, but I had issues connecting to the main character. It could be due to the fact that she was twenty-one but behaved like a teen since I have been able to enjoy other YA novels. I also had troubles in getting invested in the main conflict in the book: on one hand we have the government willing to create better robots, and on the other hand, there is a group called The Renegades, trying to prevent the dangers that improved robots could bring. The first part of the book was quite interesting and rose elaborate questions about the human nature and whether those aspects could be also applied to robots and how. The second part was not very plausible and partially lost my interest because I did not really believe in it. Rebecca is a young woman, but emotionally very immature. There is romance in the book, unnecessary but also predictable. And talking about predictable, there were some other things that I guessed quite early in the story, and I wanted to shake Rebecca and tell her so. There was little world building. My guess is that this book was set around the 30th century since our time is mentioned as the Second Age. It would have been nice to have more details about the world and the society. The only thing that is clear is that traveling has become something fast and cheap since Rebecca and Liam travel from Dublin to San Jose in what it is called a quantum train, and it seems this is a quite quick trip. In a way, this means of transportation reminded me a lot of the one in ‘Logan’s Run’. The end felt so rushed that when I was approaching it, I was wondering if I just did not have the complete book. This book is the first in a series, and it ends on a massive cliffhanger that got me by surprise. Melissa Williams’ narration was okay but it felt a bit stiff at times. She did a good job becoming Rebecca, but I missed some differentiation between characters. Also, Madeline’s voice didn’t really match my view of the little robot. She sounded more like an old woman than a little female robot. All in all, it was a decent listen, but it’s one of those novels exclusively for teens and YA, since the characters are all quite immature, and there is a lot of the philosophical talk typical of high school students. A Frightening Glimpes into the Future!